Join us in celebrating the election of one of our very own to the IABC International Executive Board (IEB). Ginger Homan, long-time IABC/Tulsa member and former IABC/Tulsa board member, was recently elected IEB Vice Chair, taking over as IEB Chair in June 2018. Ginger will be the first IABC/Tulsa member to serve in this position. 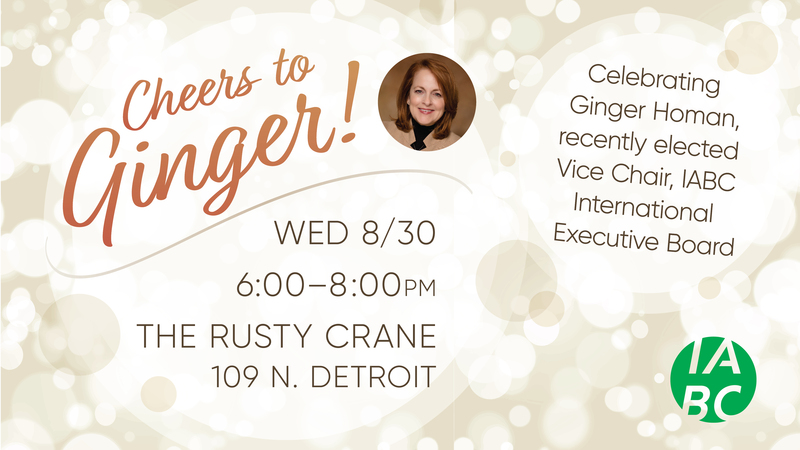 Come celebrate with your fellow IABC/Tulsa members and take this opportunity to mingle with our next IABC Chair. We’ll provide appetizers and your first drink! When: Wed. Aug. 30, 6-8 p.m.